The post-crisis market reforms in the U.S. and Europe provided a catalyst for the uptake of electronic trading and trade processing in the OTC derivatives markets. At the same time, the bond market was following a parallel evolutionary path towards electronic trading. Market participants are faced with the challenge of a high-volume world where they increasingly need to price, trade, and manage risk in real time. However, there is a hindrance in that many participants are are limited by legacy systems and processes that were designed for a slower-paced, voice-traded world. Numerix invites you to Convene at 101 Park Avenue for an event dedicated to buy-side and sell-side market participants that will highlight the challenges to come and offer insight into how you overcome them to remain competitive in a real time OTC market. The event will feature special guest presenters from trueEX, Greenwich Associates and EY, as well as Numerix experts. We encourage you to come and participate in what will surely be dynamic discussions. We look forward to seeing you on July 12th! Don't Wait, Space is Limited - Secure Your Spot Today! Mr. Yoshida, is the Chief Strategy, Sales & Marketing Officer at trueEX LLC, a leading interest rate trading platform with offices in New York, London and Singapore. Prior to joining trueEX in April 2017, Mr. Yoshida was a managing director at Deutsche Bank from September 2014 to March 2016. At Deutsche Bank, Mr. Yoshida was Global Head of Interest Rate Distribution, Listed Derivatives and Markets Clearing, Head of Securitized Product Sales – Americas and a member of the Global ICG Executive Committee. He has served as Senior Advisor at Kiros Society since March 2016 and served as a member of the board of directors of the Cryex Group from March 2016 to October 2016. Prior to Deutsche Bank, Mr. Yoshida was Managing Director at Morgan Stanley until December 2009 and served as its Head of Interest Rate Distribution in EMEA. Prior to this, Mr. Yoshida served as European Head of Global Macro distribution at Morgan Stanley, where he was responsible for hedge fund coverage for interest rates, currency and emerging markets.Before Morgan Stanley International from May 2012 to August 2014, he spent three years at Goldman Sachs with roles in investment banking and structured credit sales. Mr. Yoshida obtained a BA in economics from St. Lawrence University in 2000. 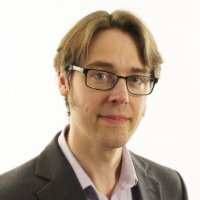 Kevin McPartland is the head market structure and technology research for Greenwich Associates. He has over 15 years of capital markets industry experience with deep expertise in market structure, regulation and technology impacting the fixed income, FX, and equity markets. Prior to joining the Greenwich Associates, Kevin was with BlackRock, where he was a Director in the Electronic Trading and Market Structure group. Prior to joining Blackrock, he was a Principal at TABB Group, where he founded and led the firm's Fixed-Income research practice. Kevin also spent time at JPMorgan, UBS and Deutsche Bank in varying capacities. Kevin has presented at a wide range of industry conferences and is quoted regularly in the financial media including The Economist, Wall Street Journal, NY Times, Financial Times, Business Week, Bloomberg News, Reuters News, Business Insider and numerous other industry publications. He has also provided live and taped commentary for Bloomberg TV, CNBC, Bloomberg Radio, and National Public Radio. Kevin has also provided testimony discussing the Dodd-Frank Act in 2011 to the US Senate’s Banking Committee and three times to the US Commodities and Futures Trading Commission (CFTC), mostly recently in 2015. Kevin earned a BS in Computer Science from Rensselear Polytechnic Institute in Troy, NY. Martin Toyer joined Numerix in January of 2017 as Chief Technology Officer. He has dedicated his career to developing technology solutions and risk tools for the financial industry and is considered one of the world's leading practitioners in the area of realtime risk and trading systems. Prior to joining Numerix, Martin was the founder and CTO of TFG Financial Systems, which provided institutional quality platforms for cross-asset portfolio and real time risk management to hedge funds, asset managers, and banks. Previously, Martin was a manager of a team of developers at a tier 1 investment bank, where he was responsible for real time pricing of European bonds and interest rate swaps, in addition to developing the risk analytics and systems used within the bank’s global risk management architecture. He holds a Mathematics degree from Brasenose College, Oxford University. Chris is the lead Principal in the Traded Products Capital Markets IT Advisory Services practice area of EY, focused on strategy, integration and innovation across the financial markets industry. Chris and his team work with capital markets participants, including: sell-side investment banks, broker/dealers, exchanges and financial market utility providers, to leverage technology to transform their operations, reduce costs and improve their ability to serve their clients. Chris has extensive experience in the financial services industry including conducting major engagements and/or serving in executive positions for sell-side investment banks, regional broker/dealers, exchanges/trading destinations and market infrastructure providers. 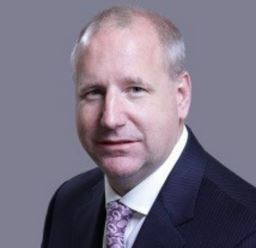 Prior to joining EY, Chris was the lead Partner in the Application Innovation Services (AIS) Practice Area of the Banking and Financial Markets Sector for IBM’s Global Business Services, focused on technology advisory, systems integration and application development across the financial services industry. Prior to joining IBM Global Business Services, Chris was a Managing Director at Bank of America Merrill Lynch (4/2004 to 10/2011) responsible for leading a technology and operations group (1,500 Resources and 150 Applications) that provided Sales Tools, Performance Tools, Client Information and Product Information (security master and pricing) to the Commercial, Corporate and Investment Banking lines of business as well as the Sales and Trading and Wealth Management businesses.